You are here: Home / Heart / The Debate Continues: Should All Athletes Be Screened for Enlarged Hearts? With recent news that Cavs’ latest trade pick, Channing Frye, was finally cleared to play after his physical, it reminds me of the debate that’s been going on for decades: Should all athletes be screened for enlarged heart syndrome? There are 2 types of enlarged hearts. The first, athletic heart syndrome, is caused by normal muscle growth in the heart due to playing vigorous sports and does not put a player at risk. However, the second type, hypertrophic cardiomyopathy, which some athletes are born with or develop, is very risky and can cause decreased blood flow and heart arrhythmias that can lead to sudden death. The problem is it’s very difficult to tell the difference between the 2 types, sometimes even with routine cardiac tests like EKGs and echocardiograms. Many times we need to employ more advanced – and more expensive – tests to tell the difference. Last week, I spoke with 1590 WAKR morning show host Ray Horner about this debate. 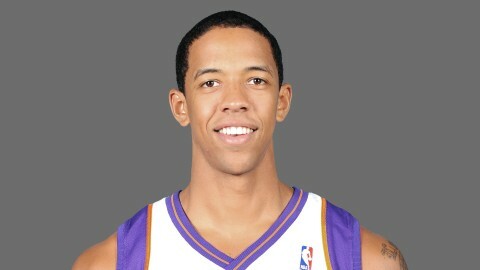 All athletes in the professional level are screened for enlarged hearts, just like in the case of Channing Frye. However, in the high-school setting, many schools don’t offer any cardiac testing and there’s no state mandate to do so. 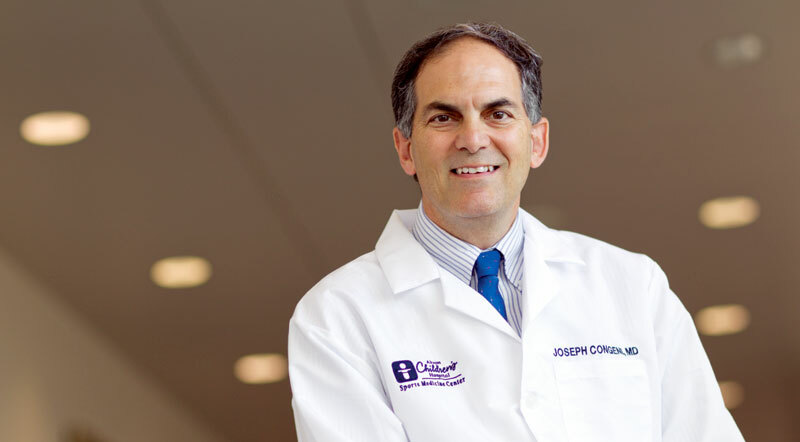 HORNER: Joining us live right now is Dr. Joe Congeni, Sports Medicine Center at Akron Children’s Hospital. Good morning, Joe. DR. CONGENI: Hi, Ray. How you doin’ today? HORNER: We are doing very well. We got, uh, basketball in the air and, of course, you with us as well. What do you have? DR. CONGENI: Yeah, you know, speaking about basketball … [there’s a lot of] talk around the trade deadline as to whether they’re gonna get pieces added. [It’s] not a big difference, but the Cavs added a piece by the name of Channing Frye. And, um, a lot of people were a little perplexed about why it took him so long to be cleared from his physical exam and I wanted to talk about that a little bit. I think it took 2 or 3 days [after] his physical before he was cleared and allowed to play. One of the reasons why was that Channing Frye 3 years ago earlier in his career had an enlarged heart, and this is a real dilemma, uh, in trying to screen athletes from sports. There really are 2 types of enlarged hearts. In a lot of athletes just from playing for a lot of years and being involved in a healthy lifestyle and, um, playing vigorous sports, their heart will grow in size and the heart muscles will thicken and they get an enlarged heart that functions perfectly normally and does okay. But, there’s another type of enlarged heart that people are born with or that they develop, where the heart doesn’t work well. The heart is enlarged and under very stressful situations, um, it can’t function fast enough and it has decreased blood flow and, uh, heart arrhythmias that can lead to sudden death. The most common type is called hypertrophic cardiomyopathy. It’s an enlarged heart that can put young athletes at risk for death. 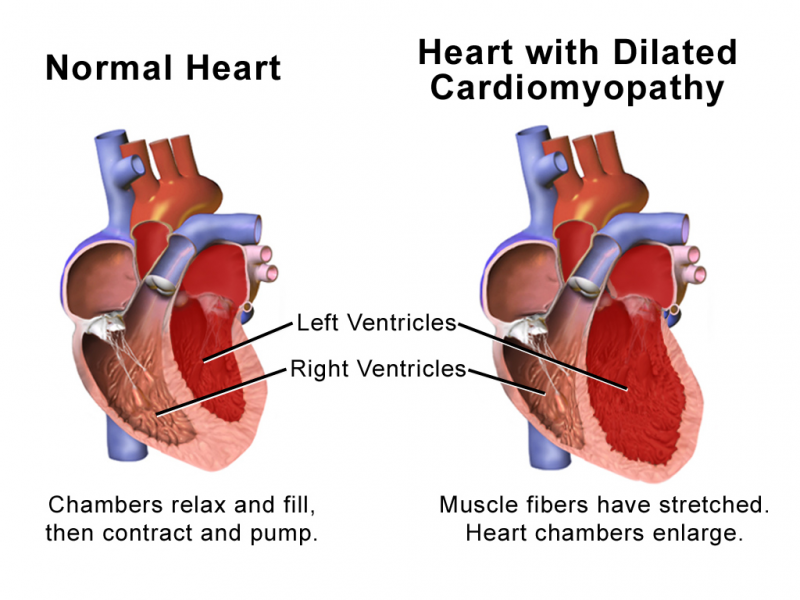 In those rare cases that we hear about when a kid will go down on a court, many times it’s an enlarged heart called hypertrophic cardiomyopathy versus the other type that is called athletic heart syndrome, which is totally normal for kids who play a lot of sports. And so, many times we have to go on to more advanced tests to tell us the difference, but obviously, the more advanced cardiac tests are much more expensive. And so, in this case of Channing Frye when they picked him up again, they wanted to check his heart out. They did more advanced testing, and in a professional athlete, that’s not a big deal. But … are we going to test every athlete in Ohio? I mean every athlete in the country that’s gonna play sports at the time of their physical? Because when you just do a physical exam now and you listen to the heart, you’re very, very rarely gonna pick up an enlarged heart and you almost never are going to pick up that enlarged heart that puts kids at risk. And so, the big debate in the last few years, this has gone on for 15 or 20 years of my career, is should we do EKGs and echos on all kids who are gonna play sports? There are many people right in our community that do those tests for a nominal fee and they do a quick EKG and echo to take a look. But, the problem is you’re gonna pick up a lot of these athletic heart syndromes, maybe as high as 20 percent, that need the very expensive testing later on. What’s changed lately is they say they’re doing a better job at being able to tell the difference between athletic heart syndrome and the more dangerous type, even on the screening tests, but still the debate goes on. And, as of right now in Ohio and in most other states, there is not any sort of a mandate to have these tests done. Some kids still choose to have these heart tests done, but that’s why, uh, in the professional setting they do this on all athletes. In the college setting, most athletes get some sort of cardiac testing done, but in the high-school setting, we really don’t know who has the enlarged heart and who doesn’t, and who might have the risky heart versus athletic heart syndrome. What I wanted you to explain to me a little bit on the medical side if you can simplify it, Joe, is when you talk about the enlarged heart syndrome, having an enlarged heart, what are the dangers of that? Why is this bad? DR. CONGENI: Well, it’s not bad in the vast majority of cases. The heart muscle, like other muscles in the body, in people that play a lot of sports and play vigorous sports, um, they will get an enlarged heart and the heart works totally normally. It’s just the normal growth in size like any other muscle you work out a lot. So, the large heart doesn’t always mean that it has to be dangerous. But in other situations, people get infections that can enlarge the heart or they’re born with an enlarged heart that doesn’t work well, and under the stresses of sport, it could be very dangerous to go into arrhythmias and even [cause] sudden death. Thankfully, the majority of times, Ray, when the heart enlarges some it’s just the normal, uh, heart muscle increase like any other muscle that you’re working out and it’s not dangerous. But, the problem is even with some of the initial tests we do like EKGs and echos you can’t tell the difference between which one is the risky enlarged heart and which one is the totally normal athletic heart. 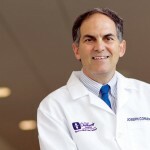 HORNER: Dr. Joe Congeni with us, Sports Medicine Center, Akron Children’s Hospital. Great stuff, Joe. Always good insight. Appreciate your time, my friend, and we’ll catch up with you next week.